3rd edition of the SJCAM Video Contest, enter to win a new camera! 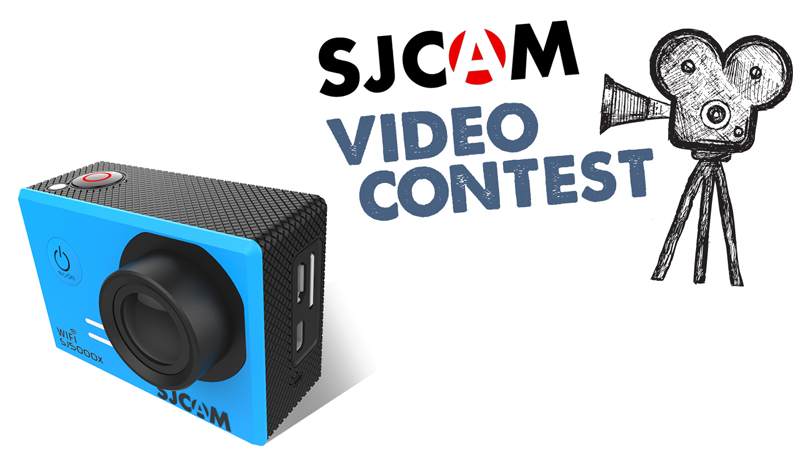 SJCAM Official Video Contest – Enter Now to win a brand new SJCAM Action Camera! Use the hashtag #SJCAMSummertime and #SJCAM in other Social Platforms to spread the word and to help you get more LIKES! Total video length must be at least 30 seconds, and not more than 1 and a half minutes. To be eligible, your video must address the contest theme (summertime) and must not have been submitted to any other competition or Contest or have received an award prior to submission as an entry in this Contest, and must not run for more than 1 minute and 30 seconds. All entries must be received from August 29th to October 2nd at 12:00PM (GMT+8). The video contest is open to youth between the ages of 14 and up. Judging of Entries: The Judging will be a combination of the number of likes in the video, and SJCAM staff judging points (50/50). 3rd Prize: $68 card to be spent on accessories or SJCAM cameras. All winners will be notified no later than October 17th on our Social Media Platforms. By entering this contest, entrants agree to abide by these contest rules and regulations. Upload your video to YouTube. Be sure the privacy settings for the video are public or unlisted (but not private). o You will need to follow the Community Guidelines (https://www.youtube.com/yt/policyandsafety/es/communityguidelines.html) and make sure you are wholly compliant and consistent with the YouTube Terms of Service (https://www.youtube.com/static?gl=US&template=terms ). Any entries that don’t comply will be disqualified. o Please note: YouTube is NOT a sponsor of this contest. Videos that are not sent to the email with the above instructions, will not be considered as participants in the contest.